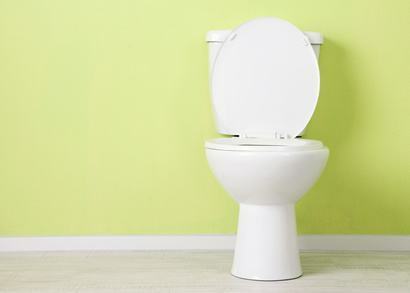 If you have a running toilet in your home, you may be wasting countless gallons of water a day. But take heart, most often it’s an easy fix and Kost Plumbing here to help. First, it’s important to understand the science behind how your toilet works: Using gravity, when you press down on the lever to flush the toilet, it raises a rubber flapper in the toilet’s tank, allowing the water to run from the tank into the bowl. Once the water in the tank is used to fill the bowl, the rubber flapper closes, allowing water to refill the tank. The tank water filling is usually the running water you hear immediately after flushing, as it slowly rises until the float closes the toilet’s intake. To determine which part of the toilet might be leaking or causing the water to constantly run, carefully remove the tank lid and identify your toilet flush lever, the aforementioned rubber flapper (should be connected to the flush lever), the pump that refills the toilet’s tank after it empties and the float that lowers and raises with the water level, letting the pump know when to stop as well as the overflow tube, which determines the high water level in the tank. Commonly, it is the chain that’s connecting the rubber flapper to the flush lever that is your culprit. If it’s too short, too long, or disconnected, it’s not allowing the rubber flapper to close properly and needs to be replaced. Another common issue is a faulty or deteriorated flapper, if you discover buildup, breaks, or deterioration on the flapper, you can try to clean the flapper or replace it completely. One of the last things you can check is to see that the float is in the correct position, allowing the right amount of water to fill up the tank. When a toilet is flushed, the water in the tank should stop filling up just as it reaches the overflow pipe. You can test this by flushing the toilet a few times to see where the water is reaching and adjusting the float accordingly. All of these methods are simple solutions in the short term, but if your issue continues it could be an indicator of a larger plumbing problem. The professionals at Kost Plumbing are here to answer your questions and meet all of your plumbing needs, big and small. For solutions that last, contact us today.